The image below shows the screen configuration of a major audio visual production for a Halifax based mining company with gold mines in Mexico. Five high definition video projectors were used to fill the 75-foot wide conference room. The visual treatment was created by my son Christopher and myself through Wave Productions, our jointly-operated AV production company. This was a far cry from my first audio visual show, if you could call it that, using a single Kodak Extagraphic slide projector on a single screen. I graduated to using six to nine slide projectors on three screens throughout the 1970s, 80s and 90s. 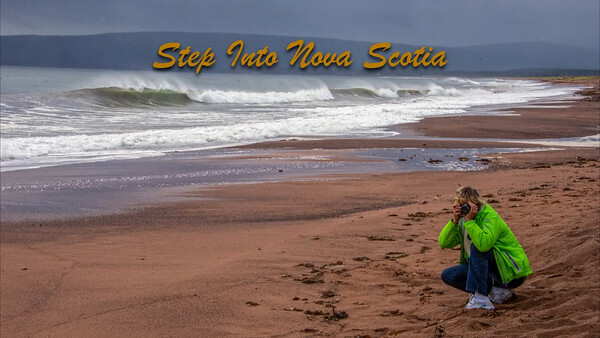 In the mid 80s, after I began doing contract photography for Nova Scotia Tourism, I teamed up with Halifax musician Bob Quinn and we began to jointly produce AVs for tourism marketing. Bob wrote original music to go with my photography and I shot colour slides to go with his music. For nearly 20 years we travelled extensively throughout Canada, the United States and to Europe and Japan staging shows that often included an assortment of live performers. 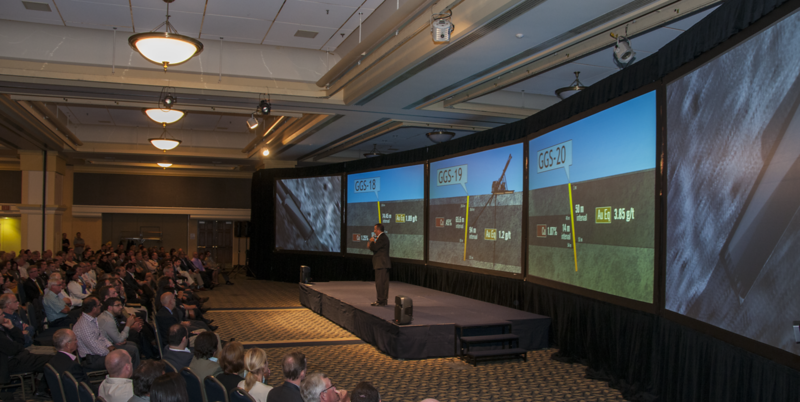 Our largest production was for 3,500 travel agents and was shown with 21 slide projectors on 15 screens. It included a cast of nearly 70 of Atlantic Canada's top musicians. Below is the first of what will soon become a collection of audio/visual presentations typical of shows musician Bob Quinn and I produced and took to audiences around the world since the mid 1980s. All the music in these presentations was written by Bob and the images are mine. Most of the original presentations were designed to be projected on three or more screens, but because of limitations of the web, I've reassembled them to be shown on a single, high definition screen with both original and new photography. When presenting to live audiences we continue to use the multiple screens because of the strong appeal of that panoramic format, especially with still images. Multiple screens showing simultaneous videos would be too confusing and not work. Occasionally we will use video clips, but always limit it to a single screen with little or no activity on adjacent screens while it is playing.